→Is Selling Stuff On Magpie A Waste Of Time? Most people build up a collection of old electronics, mobile phones and unread books around the house and want to have a house clearance to clear more space and make some extra money. This means services like Music Magpie are very popular and millions of people offload their impulse purchases and their old Christmas presents which are gathering dust. Magpie offers a convenient and quick service where they will buy most electronic goods, books, ipads and laptops and so on. You go on the website, and you get an instant price, and once they receive the item, you can get money in the bank within a few days. However, is it worth your time to sell your household items in this way? Do they offer you a fair price for your unwanted goods? In this review, I'm taking a closer look to see if it is worth your time to sell stuff on Magpie. Perhaps you should be going elsewhere? You also have similar services, such as We Buy Books and Ziffit - want to check out comparison video? Do You Get A Fair Price Compared With Ebay or Amazon? Is Convenience Worth The Money? To use Magpie, you merely go on the website and look through the product selection to see if they will purchase your item. They mainly focus on technology/electronics such as Blu-rays, tablets, mobile phones and game consoles to name just a few but you can also sell books, LEGO and gift cards. Let us say, for argument's sake, you want to sell your iPhone. You would just pop in the name of the model, such as iPhone 8, and choose the condition of the phone; this can be good, poor or faulty quality. You also have to specify which network it's with and whether or not the phone is locked or unlocked. You are then shown an instant offer of how much Magpie are willing to pay for it. You then simply fill in your personal details and Magpie will send you a prepaid postage package with which you can send the phone to the warehouse, for FREE! Read the guide on how to package your item. Once they have verified the phone is in good condition, or the state you claimed, they will release your payment on the same day. So far they have paid out over £200 million to over 4 million customers. Not bad! Seems smooth and straightforward enough to me, but how do you know they're paying your a fair price? Should you not compare this price to somewhere like eBay or Amazon first? Perhaps you can get a much better price on another marketplace? For this article, I will take some random second-hand items from eBay and Amazon and compare them to the prices you get on Magpie. This is to establish how much money you are losing in exchange for the convenience of using the service. After all, selling on Magpie is by far quicker and more convenient than selling stuff on eBay or Amazon, but I will cover that in a minute. When I search for a variety of DVDs or Blu-rays on eBay and Amazon and compare those to the price they are paying on Magpie, the difference is marginal. You always get a bit more for your DVDs and such on the auction websites, but you have to factor in the time and money it takes to package them, and post them and so on, therefore it isn't worth the time selling them yourself. Send them to Magpie and take the money! 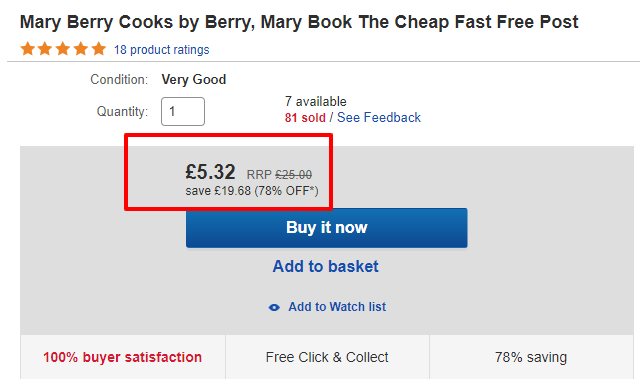 Books are poorly priced on Magpie, and you can fetch a much higher price per book on eBay/Amazon. I think the only problem here could be the postage because books are an awkward shape and can weigh a lot. If you factor in the time it will take to sell any books, due to the heavy competition on eBay and Amazon, you do need to figure out if it's worth your time to make £2 or £3 profit to list one single book. Check out this guide on how to sell books on Amazon for a profit. I can see that the higher the price of the possible retail price the less valuable Magpie becomes. 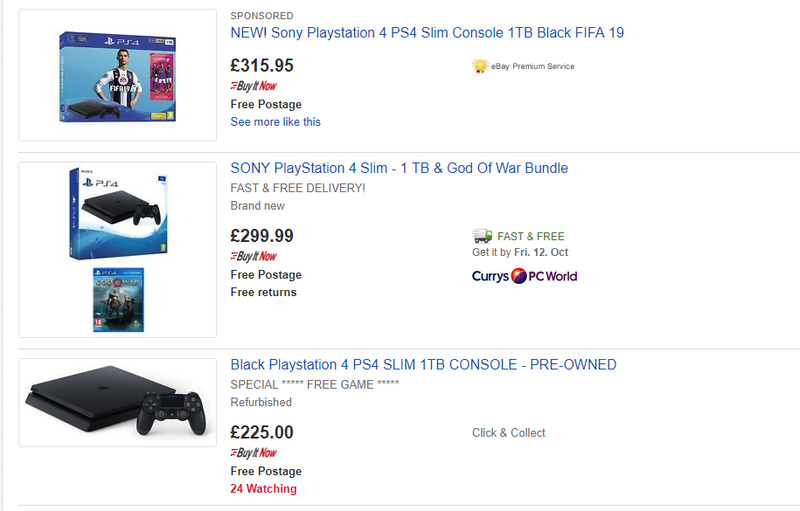 You see here with the PlayStation 4, and most other gaming consoles that the price differences are getting quite big with Magpie only offering £100, you could get over £300 on Ebay. Even though you still have to factor in the postage, and so on, you may be better off selling this yourself on eBay or Amazon to get the best price. You also may notice that Magpie does not include any games in their offer so you would need to sell them separately and they do not fetch a very good price at all on Magpie. Following the same pattern as the games consoles, you can see that the price differences are increasing as the retail price goes up. There are a lot of different options online so you can find a bargain on the auction sites also but, once again, you will have to weigh up whether it's worth your time for the extra £100 to £200 you would earn if you sold this yourself. You also need to factor in the time it takes to wait for some someone to buy your listing on the auction sites. I also noticed that Magpie does not offer a condition above "Good", which means that if your phone is in pristine or mint condition, then it would be worth a lot more than the "Offer Price". Overall, I discovered that for the low cost items, such as books and DVDs, it is well worth selling them to Magpie purely for the convenience. If you take into consideration the cost of listing fees and postage on any other marketplace, it really is not worth your time or effort to sell them yourself. However, with more valuable items, you need to sell them elsewhere - keep reading! Nobody can question the convenience of being able to get rid of old appliances and junk with just a few clicks of a button. Exchanging it for cash just makes all the sweeter. However, what is the true costs of this convenience? How much of a difference are we talking about when you compare prices of a top-of-the-line iPhone to somewhere like eBay or Amazon? Is it really worth the time selling stuff? To be quite honest it is down to your own personal preference, but when you consider the hassle and the workload involved of selling these items yourself, I think most people would just take the convenient route. If you try selling these items yourself, you would have to deal with postage. Depending on the size the item you would need to figure out how much the postage cost is, which can be a real pain as there are so many different sizes and shapes and delivery costs involved. You would have to package the item and then physically go to the post office and deliver it. That would be even worse if it was a large item or valuable item which needed to have insurance added to it. You also incur longer waiting times to get paid as you have to wait for the customer to receive the item and leave you a good review. The main timesaver is that you do not have any admin or customer service to deal with because if you sell stuff online, in any marketplace, then you have to print postage labels and deal with customer questions and complaints. You also have to leave reviews for people who purchased from you and, not to mention, create the listing itself, which if you're not computer savvy, will be very time-consuming. Even worse would be if a customer was not happy with the product and they wanted to return their purchase as this opens a whole can of worms! Suddenly any profit you get from the item sold is no longer worth the hassle. You also avoid a lot of hidden costs such as listing fees and commissions from eBay and Amazon. When you sell stuff on those marketplaces, you incur a lot of hidden surcharges and fees. You also need to pay someone like PayPal to process your transactions. Even though these surcharges are only 1% there and 2% here, they do add up and quickly become over 10% of the value of anything sell. Check out the eBay fee calculator. So if you're selling an iPhone for £400, suddenly that becomes a large chunk of your profits. Getting rid of your appliances on Magpie solves this problem, assuming the price is right, of course. Here are some Ebay selling tips and tricks! The main thing you save is time, which is very precious. 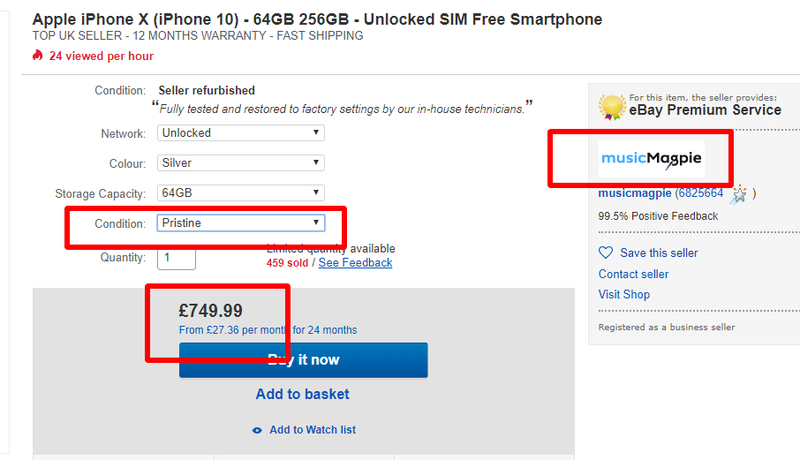 Imagine this: you want to sell your iPhone on eBay. You create an account and spent hours setting up your account with your payment details and trying to figure out the merchant dashboard so you can create your first listing. You then have to list your item and wait for the duration of the auction, unless somebody buys it with the "Buy Now" button. In other words, you might have to wait for more than one week to find out if you have a buyer. God forbid nobody buys it, and you have to list it once again and pay the listing fee once more. Even when the item sells, you would need to spend more time packing up the iPhone and then send it in the post and wait for the customer gets it before you know your money is safe. If the customer is not happy, they can open a PayPal dispute and try to get a refund. So, with all that said and done; would you instead lose £100 or so as a compromise and sell it on Magpie immediately and save all that trouble or would you rather pull up your sleeves and go through the painstaking process of selling stuff online on your own? I think for the majority of electronic items which are older and outdated and all the small stuff, such as books and CDs, you should use Magpie just for the convenience and the timesaver that it is. On the other hand, for all newer items and top-of-the-line electronics, such as iPhones and laptops and gaming consoles, you should take the time and sell them yourself. 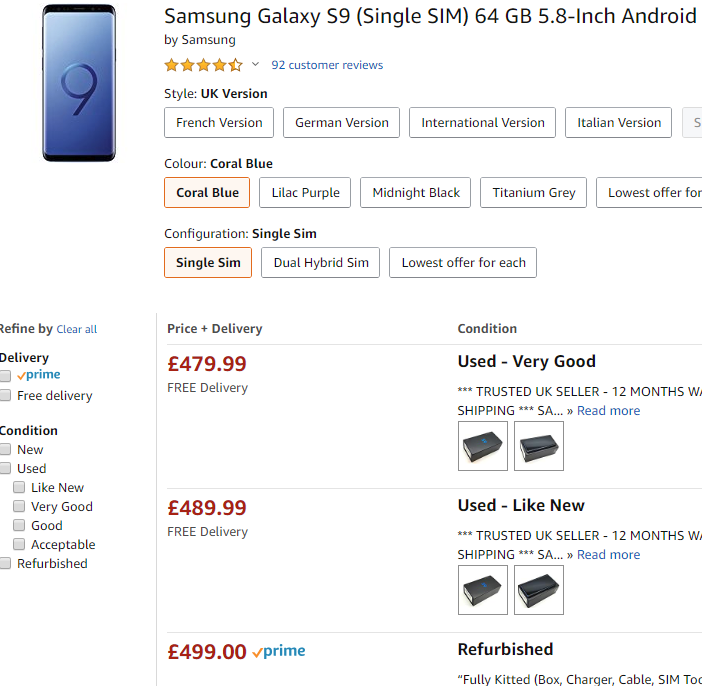 Use places like Amazon and eBay, or even Gumtree, because as you can see from the screenshot below you are heavily undercut by Magpie when it comes to these high ticket items. Magpie offers £500 and then sells them on Ebay from £580, up to £749! An iPhone X (64GB), for which Magpie only offers £500, is selling for a minimum of £600 on eBay. Notice how the seller here is Magpie themselves! It seems to me that the higher the potential retail price, the less value for money you get when selling to Magpie, so if you are selling an expensive item then sell it yourself on another platform. That way you can pocket the extra cash! If you take notice of the screenshot below, of the item description on Magpie's listing on eBay for the Apple iPhone 10, you will notice that they have a "pristine condition" in the drop-down menu. However, when you look at the price offered on the Magpie website they do not offer this option when they buy the phone. This means that sellers are selling their iPhones to Magpie in pristine condition but only given £500 because there is no option to choose from their condition selection which only consists of "Good, Poor or Faulty"
You can see from the Magpie FAQ's that they treat all items as second hand, even if they are brand new! You can also try other services, such as We Buy Books and Ziffit, who also buy books cds, dvds and other items for quick cash. I do not know what prices they offer but I would assume they offer competitive prices. Perhaps they are worth checking out as well! This video reviews shows you a comparison between these companies in terms of acceptance rate, payout amount per item and also included are some tips about their customer service. Very useful to watch! If you want to sell stuff on Magpie, then it is a perfectly reasonable choice to use them for the convenience and the ease of their service. If you have a whole bunch of books, old CDs and DVDs clogging up your cupboards and collecting dust, then Magpie is definitely a solution for you. Given them a try and clear out some space and get some extra cash in the process. However, I would say that if you have an expensive item, like a laptop or an iPhone, then you should take the time to sell the item yourself because otherwise, you can lose out on £100's in the process. Even though it is convenient, that may be a bitter pill to swallow. I hope you found this review of Music Magpie helpful and if you have any questions or queries, then please do leave a comment below.